SERVICE DESERVES ITS REWARDS. 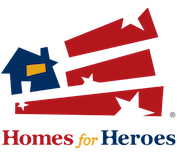 TITLE AND ABSTRACT HAS JOINED THE HOMES FOR HEROES PROGRAMS AND IS READY TO DISCOUNT YOUR CLOSING FEES AS A SMALL TOKEN OF OUR APPRECIATION. SIMPLY SHOW US YOUR SERVICE ID OR OCCUPATION DOCUMENTS WHEN YOUR CONTRACT IS SUBMITTED AND $150.00 WILL BE DEDUCTED FROM YOUR CLOSING FEES. YOU MAY EVEN GET ADDITIONAL CONTRIBUTIONS FROM YOUR AGENTS OR LENDERS. YOU'VE EARNED THIS AND MORE. WE SIMPLY WANT TO SAY "THANK YOU" IN A VERY SMALL WAY. Discover Saratoga Resort Villas on the Congo River! Leisure & Golf package for two! Book Direct and SAVE 25% off your Summer Dates! Throughout my 33 year career as an Operations Executive working for Walt Disney Parks and Resorts, I successfully led huge operational teams that oversaw departments like Theme Park Operations, Attractions, Store Operations, F&B, Custodial, and many others. Let me help you apply Disney’s winning principles to your operation. 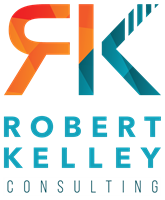 Please visit my website at https://robertkelleyconsulting.com/ to learn more about the services I offer, download my free operational scorecard, or book a free 30 minute call with me.